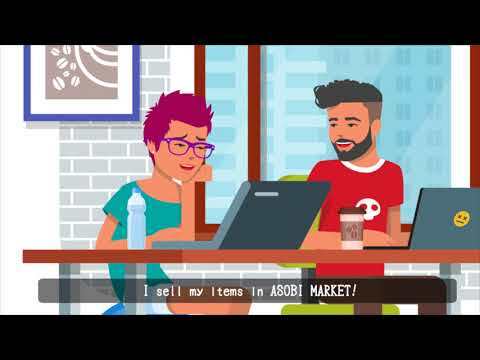 ASOBI MARKET uses blockchain technology to provide a protected system to distribute second-hand content. The current digital content services do not give licenses to users, which makes it impossible to resell or when a service closes down, the users lose their content. At ASOBI MARKET the user owns the license, which we can guarantee through DRM, Decentralized Security System (DSS). This system enables a secure secondary digital content trade with ABX. I think that this idea is very good. As a single user, I felt very sorry about common sense that "electronic content can not be sold as used." This is the project that breaks down common sense. Furthermore, it is very wonderful that the problem in the current second-hand market (the point where the right holder does not incur a right income) is also successfully involved. I am relieved because it is a firm firm company whose name is known in Japan. You can also find the benefits of investing by anticipating that many of these tokens will circulate. I will mention one point of concern. Secondary circulation products do not deteriorate because it is electronic content. As a result, there are two possibilities as follows. · "Demand> supply" in the secondary distribution market, secondary supply market will be short supply. · The merit of purchasing primary circulation items is lost other than "get it when you want", so sales of primary distribution items are sluggish. Because this is my personal opinion although it is not necessarily correct. I think about revising the evaluation when I can hear your thoughts from the project side on this point.